Construction was recently completed for the new Lauralyn J. 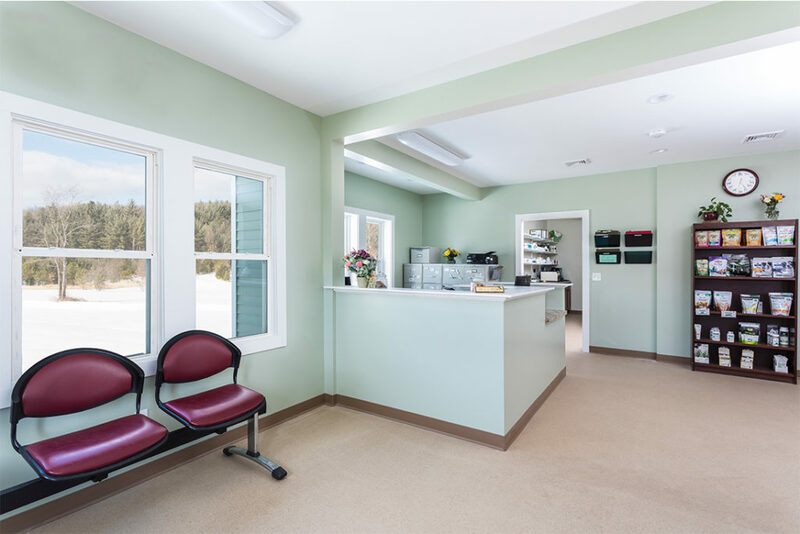 Brown DVM Veterinary Hospital in Turners Falls, MA! Our team transformed a residential duplex into a new premier animal facility. It was an exciting project and our team is grateful to Dr. Brown and her staff for the opportunity to collaborate. See more photos in our commercial portfolio here. We were very impressed with your firm's thoroughness, quality of work and professionalism. We will certainly recommend Integrity to anyone we come across who is planning a home renovation project.